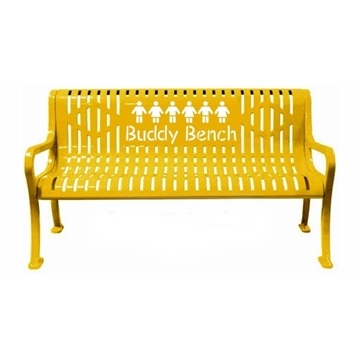 The Buddy Bench is a bench designed for playgrounds and schools where children can sit when they are feeling lonely or sad, giving them an opportunity to be approached by other children to play or talk. Below you will see we have a variety of designs available to choose from. 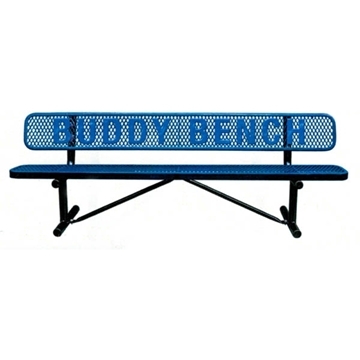 We can create a Buddy Bench with your school name or custom logo, just give us a call and we can create a rendering for you. 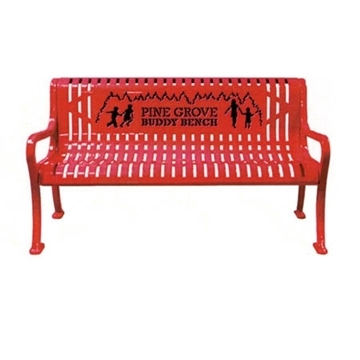 See our Blog post about the Buddy Bench! This article covers many common questions and topics about the buddy bench such as "What Is The Buddy Bench? ", "How does the buddy bench work? ", and "Reasons to sit on the buddy bench". 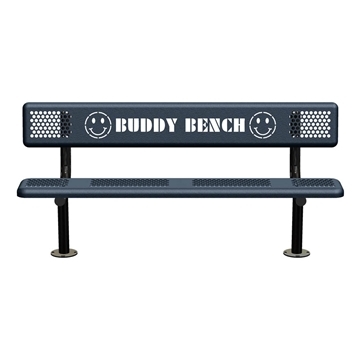 This is a great resource to share with your school when you purchase a buddy bench.